February is Parent Leadership Month, and Bright Star Schools is excited to recognize the many wonderful parents who support our schools. We have parents in leadership roles across our organization. Parents are serving on School Site Councils, English Learner Advisory Committees, and on the Bright Star Schools board. They are also Ambassadors and everyday volunteers, whose support is critical to help make our schools great places for our students. 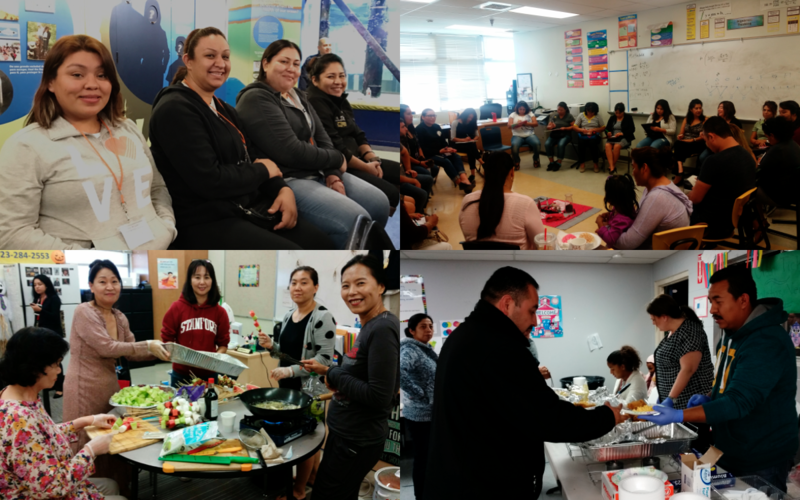 In addition, Parent Leaders have donated delicious food, chaperoned fun field trips, led successful fundraisers, and participated in decision-making committees. As an indication of our gratitude, Bright Star Schools is presenting each Parent Leader with a Certificate of Appreciation for their leadership and support of our school community. Mrs. Eusebio, a Connector at Valor Academy High School, says parents being honored “make their presence known at school. Whether it is for a parent panel, fundraising help, or donations, these parents go above and beyond for our Valor Community.” For example, Ms. Chae, Connector at Rise Kohyang High School wanted to celebrate Mr. Angel Huezo, who spent an entire weekend shuttling the Soccer team back and forth from the Valley! Similarly, connector at Valor Academy Elementary School, Ms. Nazarian, wanted to thank all the parents who support the school, including those who attend meetings, donate supplies and support by filling Friday Folders. At Bright Star Schools, we know that parent involvement makes a huge difference in our students’ achievement, and we thank every parent for their support. We understand that parents support in many ways from home, at school and beyond. For all that you do, THANK YOU! Thank a parent you know who supports our schools in the comments below! Categories: Stories and Sentiments from the Bright Star Community, What's Happening At Bright Star?